Meet Penn Wright, a seventeen year old Eagle Scout from Renton, Washington. 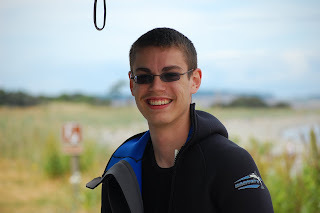 For his Eagle Scout Project, Penn and his fellow scout members conducted underwater identification surveys for the grassroots organization REEF. 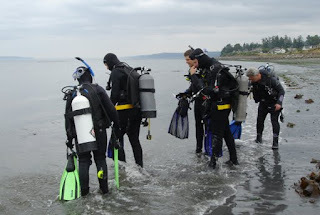 The group completed 66 REEF surveys totaling 380 volunteer hours at Edmonds, Redondo and Saltwater State Park. Where did Penn learn the identification skills needed to conduct these underwater surveys? Here at the Port Townsend Marine Science Center at a Nichols' Fish and Invertebrate ID course. This course provides free fish and invertebrate identification techniques to help increase volunteer involvement in REEF surveys. The course is also designed to help scuba divers increase their interest in marine conservation. It is great to see PTMSC contribute to some of the amazing things individuals are doing in our region!